Un apartamento con todas las comodidades y una excelente ubicación! Volveremos sin duda. 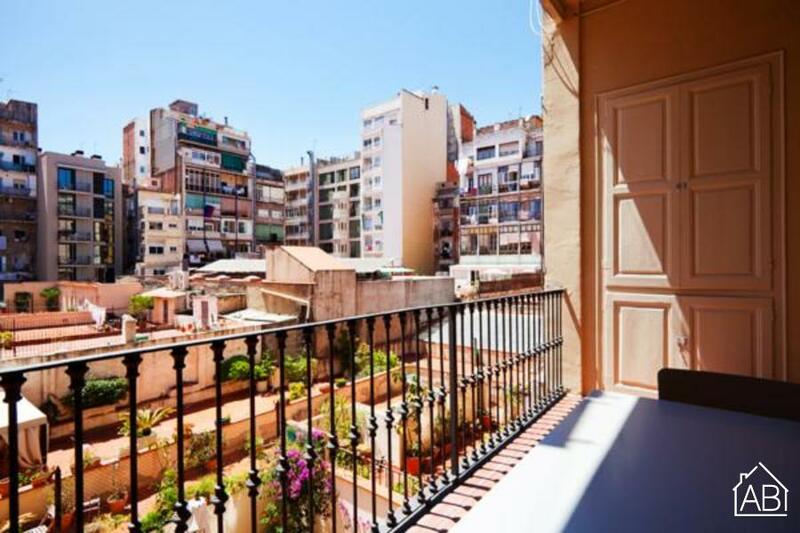 This comfortable four bedroom apartment in Barcelona, is situated in the lovely area of L´Eixample. Guests will find themselves close to some of Gaudí´s most famous masterpieces such as La Sagrada Familia and La Pedrera making this location the ideal place to begin exploring the city! All of Barcelona´s other fantastic sights are easily accessible on foot or by public transportation from this modern, city center apartment. This apartment sleeps up to 9 people, with 5 single beds, one double bed an a sofa bed distributed throughout. There are two bathrooms available in this apartment. The lounge/kitchen in this apartment has an open plan design, creating a spacious feel within the apartment. With a double sofa bed and satellite TV available, guests will be able to kick back and relax after a day of exploring the Mediterranean city! An Internet connection can also be found. From the living area, you will have direct access to a sizeable balcony, the perfect place to enjoy a glass of wine in the sun or perhaps read your favorite book! Featuring a fully-equipped kitchen, budding chefs will be able to try their hand at some Catalan inspired dishes. Complete with heating and air-conditioning, this apartment is a great choice for your trip to Barcelona, any time of the year! Please note: This apartment is only available to adults over 35 years old and families. Parties in the apartment are prohibited and we kindly ask all guests to respect the neighbours by not making excessive noise after 10pm. This is a non-smoking flat. Due to the age of the building, noise travels easily through the walls of the apartment.